"Akasha is a subtle dimension of the physical manifestation. Like you have internet today, Akashic Records is your inner-net or the yogic-net. Like earth, water, air, and fire, akasha is one aspect of the five elements" - Sadhguru. It is the access to the dimension of physical manifestation. In our opinion, it is improper to call akasha or space the fifth element because it is THE element. All the other four – earth, water, air, and fire - arise out of this fundamental element called Akasha. Akasha is the design of everything in the universe – from the atomic to the cosmic. It is essentially the breath of the universal consciousness. We, as humans, cannot exist without our consciousness connected to our physical bodies. Similarly, the dynamic, ever-evolving cosmos cannot exist without the etheric breath of Akasha. Our Yogic system clearly acknowledges the existence and the power of Akasha. Our physics has also come to this realization. Today, modern science is recognizing there is something called Akashic Intelligence and Akashic Records. "It is your ability – either consciously or unconsciously, to be able to get the cooperation of this larger intelligence which is functioning" - Sadhguru. 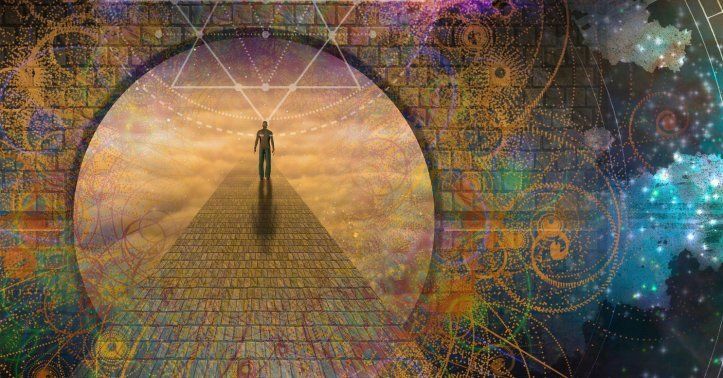 Often called the ‘Book of Life’, Akashic Records is a living field of energy that contains all the information about a person — past, present, and possible futures. As soon as our soul begins to experience life, this field of energy records everything about it. Thus, Akashic Records are a treasury of your personal experiences and knowledge of the past, present, and future. It is the record of your soul’s every thought, word, action, desire, and emotion. “If you get cooperation from the akash, life will happen in magical ways.”….Sadhguru. On the path to inner transformation, Akashic Records hold the key to heal our physical, emotional, mental, and spiritual body by removing the blocks that deviate us from reaching our highest potential. They help us find answers to many of our persisting questions. They release the negative karma that may be carried on from our past lives to manifest in the present. By understanding the root cause of current issues and learning our karmic lessons, deep healing across time and space happens. Akashic Records is also an excellent tool for self-discovery for a more positive outlook towards life. In addition, it also provides the wisdom for our current life choices and resolving immediate concerns. Akashic Records help to learn to connect with the source that has the potential to bring about that transformation. 'Healing' as a word doesn't necessarily mean 'correction' but, rather, it aims at the removal of blocks to achieve one's highest potential at all levels. We attract situations and people in our lives based on our karma. This karma resides within us as subconscious beliefs registered in our cellular memory. Each karmic event, thus, brings about an opportunity to learn the lessons by rewriting the limiting beliefs and that drives our soul to move forward in its evolution. Every event that triggers emotional distress reflects the need to recognize what needs to be released from our subconscious mind. The beliefs held in the subconscious mind will manifest in our lives, no matter what. The negative ones create problem situations for us. We find ourselves in situations and with people we seem to have no control over. Often, we fail to understand why we are going through what we don't want. At such times, all our efforts at keeping our attitude positive seem to fail. Almost anything not working for us in terms of self, our behavior, our relationships, our life situations or even physical ailments are only signs for us to realize that we need to pay attention inward. Akashic Records give us access to the information to heal our lives and connect us with our inner wisdom. Besides, resolving the immediate concerns, it brings about a balance in the energies of the person and a huge amount of positivity in their outlook towards life. They will help to release the negative karma that may be carried from our past lives or even early current life. By accessing this universal consciousness, we are able to find our soul’s purpose, relationship contracts, seek deeper clarity on career, health and much more.